Ask Us About Dental Implants I have bone loss and infection around my dental implant. What can I do? I have bone loss and infection around my dental implant. What can I do? I have an implant that replaces my lower molar and I have been told that I have bone loss and infection around my dental implant. What can I do? You have been informed that your dental implant is affected by a low grade infection called peri-implantitis that is slowly destroying the bone that supports your implant. The surface of the implant is infected and contaminated by bacteria that will continue to destroy the bone unless it is removed. There is treatment available for an ailing implant. The treatment consists of removal of the bacterial contamination and detoxification of the implant surface. The implant is exposed and the bacterial film and toxins on the implant surface and the infected soft tissues around the implant are removed. The surface is decontaminated by chemical and mechanical means, or in the case of Laser Treatment, an all tissue laser such as the Waterlase is used to clean and disinfect the implant surface . The area is covered with a dressing for about a week and normal gentle cleaning resumes after that. Depending on the size and shape of the bone defect, the dentist may place a bone graft. It is normal for the tissues to shrink after the surgery, so part of the abutment (post) or even the implant may be visible after healing. In cases where access is simple, one surgical treatment may be all that is necessary but in more difficult cases more than one treatment may be necessary to get the infection under control. It is very important to develop a good daily oral hygiene routine to keep the gums around your teeth and implants healthy, and to supplement that with regular checkup and maintenance appointments in the dentist’s office. Dr. Boudet is a graduate of the Medical College of Virginia. After graduating with a DDS degree in 1980, he became a commissioned officer for the United States Public Health Service. When his tour of duty ended in 1982 he received an award for outstanding service. He was asked to serve as Dental Director for Florida Community Heath Centers, supervise the operation of four dental clinics around lake Okeechobee. 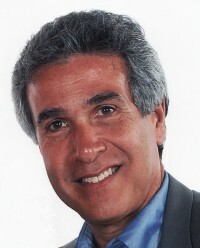 He established his dental practice in West Palm Beach in 1983 and has been in the same location for 30 years. He is a Diplomate of the International Congress of Oral Implantologists, a member of the Central Palm Beach County Dental Society and a chairman of the Advanced Crown and Bridge course of the Atlantic Coast Dental Research Clinic. His articles on prosthodontics and implants have been published in several popular dental magazines. Which dentists are qualified to place dental implants? Because of Peri-implantitus, oral surgeon removed 4 implants. Severe bone loss in nasal cavity. Still bringing up phlegm 6 months later. Is this to be expected? Surgeon now retired, no forwarding #. I am sorry to hear that you are having such problems with infection around your implants. I can tell you that normally you do not have an infection producing phlegm six months after implants are removed. You need to go to an oral surgeon that can evaluate and treat this problem. I hope you get better soon and good luck! Can i ask ,what is the effect of platform switching on stress distribution,and what biological mechanisms are involved on bone loss. The effect of platform switching is not on stress distribution but on lack of bone loss at the crestal level. The second question, the mechanisms involved in bone loss requires a more detailed explanation that I am willing to get into in a blog comment. They could fill a whole chapter of an implantology book and the biology also is affected by other factors such as surgical trauma, occlusal forces overload, bacterial contamination, microgap, left over cement, biologic width and dimensions of bone around the implant, just to mention a few. Can the inplant be saved? The answer to your question depends on several factors. When you have infected tissue around an implant, that infection influences the bone and you loose bone around the implant. If the infection has not affected the bone, it is the easiest to treat since you are only treating the soft tissues. Also, if the bone looks good as you say, there is no reason to think you would loose the implant. I suggest you let a dentist experienced with dental implants look at it and make a recommendation about the treatment you would need. We have treated infected implants with the Waterlase laser and have had success saving them as long as the bone levels are adequate. If you have access to Palm Beach County and would like to be seen at our office you can call us at (561) 968 6022 to make an appointment.